Tonight the Art with Heart team are sharing creative projects using products from the sale-a-bration brochure. All sale-a-bration products are earned for FREE with sales of $90+ (AUD). • If you spend $90, you get one free level 1 product. • If you spend $180, you get one free level 2 product, OR, they can choose two level 1 items. • If you spend $270, you have the option to choose three level 1 items or one level 1 item and one level 2 item. The sale-a-bration promotion is current now until March 31st. Be sure to request your copy of the brochure today. Sale-a-bration is also a great time to join our fabulous team. Ask any of the girls on the hop! Now it’s time to hop on over to our next participant, the very talented, Kate Morgan. Very cute Rebecca! That Panda certainly is a must have set. Thanks for playing along in the Art with Heart Team monthly blog hop. I just the Panda and these are great cards using this stamp set. So Cute! Very cute; both cards are lovely! Aww, what sweet cards! I'm sure they'll bring a smile to the face of the recipient. Cute cards, Rebecca. Great to see an alternative to balloons. 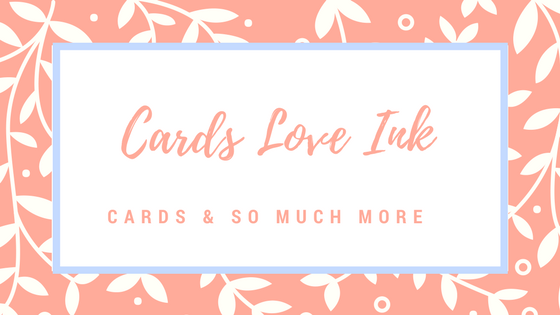 All artwork © Stampin' Up!® 2009-2018 and Rebecca Jacovou as Cardsloveink, Independent Stampin' Up! demonstrator. The content (including text, photos, banner, design work and artwork) is my sole responsibility as an Independent Demonstrator and the use of, content of, classes, services or products offered on this blog is not endorsed by Stampin' Up!® As per Stampin' Up!® policy, I am only able to sell to Australian residents. Thank you for understanding and enjoy my blog!